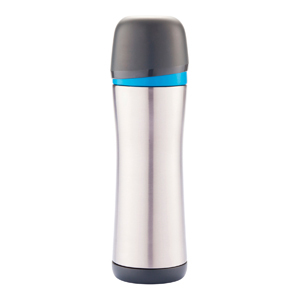 BPA free, 500ml capacity, double wall vacuum stainless steel flask. Lid converts to a double wall cup with a splash of colour. This mug is easy to recycle as no glue is used to fix the components and all the materials used are easy to separate for recycling. Registered Design® Supplied in retail packaging.